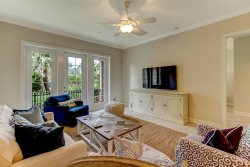 View our extensive collection of curated Amelia Island Plantation Vacation Rental Homes complete with private pools and ocean views. Planning a vacation to Amelia Island? Stay with Amelia Rentals! We know how important it is for pet owners to travel with their best friends. Stay with Amelia Rentals on your next vacation to Amelia Island Plantation in one of our pet friendly rentals.